The regulator that oversees Fannie Mae and Freddie Mac is nearing an agreement with mortgage lenders that would significantly expand mortgage credit, while giving lenders additional protection. 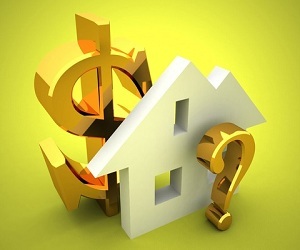 The Federal Housing Finance Agency is discussing whether the two mortgage giants should lower their down payment requirements from 5% to 3% for some borrowers, according to the Wall Street Journal. Freddie had a 3% minimum a few years ago, but upped its requirements after the bust. That means a possible 40% reduction in deposit requirements. The boost in down payments was part of a broader initiative to shrink the government’s role in the mortgage market — a push that the FHFA abandoned after Mel Watt took over as its director. Watt said the agency no longer plans to have the Fannie and Freddie retreat from the housing market, adding that they must help keep home loans flowing to the public. The agreement, which could be announced as soon as this week, would also provide lenders with more protection from charges. Following the housing bust, mortgage companies became hesitant about lending because they had to repurchase billions of dollars of bad mortgages they sold to Fannie Mae, Freddie Mac and private investors. Now, Americans are experiencing the tightest credit market in 16 years, which lenders have blamed on penalties. During the last few years, Fannie Mae and Freddie Mac have taken in tens of billions of dollars over claims that the lenders made underwriting mistakes on loans they sold to the mortgage giants. In 2013, the FHFA attempted to ease lenders' worries by announcing that lenders wouldn't have to buy back most loans where the borrower didn't miss any payments for three years, and earlier this year, the agency said borrowers could miss two nonconsecutive payments within three years. In both instances, the FHFA exempted some mistakes, such as fraud, and without clear definitions of what mistakes me that threshold, lenders remained wary of expanding mortgage credit. Sources told the Wall Street Journal that the new deal would clarify what mistakes constitute fraud, thus giving lenders greater confidence that they won't be penalized for issues out of their control.